The good news is that most of the world has finally accepted that global warming is happening and is going to wreak havoc on our climate over the next 100 (or 100,000) years, and that something needs to be done collectively by world governments and industries to stop the worst of the changes from occurring. The bad news is that much of the climate change is already programmed in and will lead to large-scale disaster, and that the global human response, while increasingly encouraging, is still not nearly enough to make a dent in Mother Nature’s coming retribution. In this review, I will discuss two recent books that in different ways discuss how Homo sapiens have come to dominate the earth and its climate, and what this means for the future of our species and the planet. They are Sapiens: A Brief History of Humankind (2014) by Yuval Noah Harari, and Countdown: Our Last, Best Hope for a Future on Earth? (2013) by Alan Weisman. The reason Homo sapiens conquered the world, Harari claims, is above all its unique language. Around 70,000 years ago our ancestors left Africa for a second time and began to colonize the entire planet, a long march which only finished when the first humans reached New Zealand around 800 years ago. 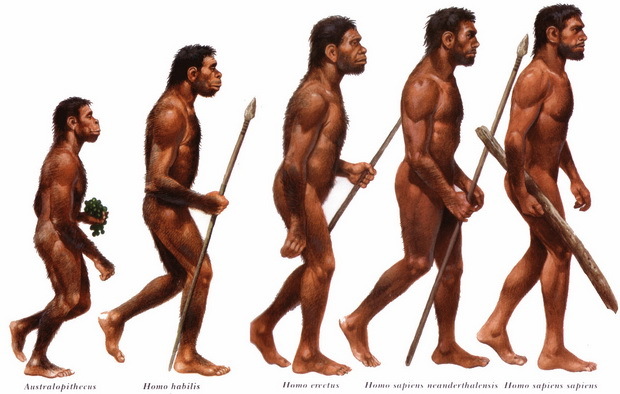 After leaving Africa, these Homo sapiens encountered and probably exterminated Neanderthals (and many other large animals), while at the same time developing a remarkable amount of new technologies over the next 400 centuries: boats, oil lamps, bows and arrows, needles, as well as art and the first evidence of religion, commerce, and social classes. This Cognitive Revolution allowed for humans to think and communicate in new and sophisticated ways due to language use. The causes of this mental explosion are unclear, but Harari claims that it was most likely a genetic mutation that came from pure chance. (Compare the biologist E.O. Wilson here: “The origin of modern humanity was a stroke of luck—good for our species for a while, bad for most of the rest of life forever.”) As for language itself, he says that while many animals, including our closest living relatives, the chimpanzees and bonobos, use types of communication mostly for signaling danger or food, human language developed mostly as a way of gossiping. Besides this, he says that a further development of the Cognitive Revolution is the human ability to think and talk about things that do not exist–entire kinds of entities that they have never seen, touched, or smelled. “This ability to speak about fictions is the most unique feature of Sapiens language.” The consequences of this fact were obviously enormous and dominate the rest of the book. The next main point in the book is the transition from the long-standing tradition of foraging bands of hunter-gatherers to mostly stable villages of farmers. This happened with the Agricultural Revolution of 12,000 years ago, and led to larger and more sophisticated societies. Harari spends a lot of time discussing the diversity of the ancient (and a few modern) forager bands and how dramatically their way of life differed from the agricultural one. Comparing the two groups, he claims interestingly that “The human collective knows far more today than did the ancient bands. But at the individual level, ancient foragers were the most knowledgeable and skillful people in history.” He speculates that average human brain size has actually decreased since the beginning of the Agricultural Revolution, since survival no longer requires the superb memory and mental abilities from everyone as in the foraging groups. Furthermore, foragers had physical endurance and dexterity that few humans achieve today. He presents us with a plethora of evidence which leads to his most interesting claim in the book, in my opinion: that ancient foraging humans had a happier and healthier life than the subsequent agriculturally dependent ones. The diet was wholesome and varied, the working week was relatively short and free time was much greater, and infectious diseases were rare. Meanwhile, most agricultural societies until quite recently have had to endure constant uncertainty over their crops, little variety of food, much more work, and more unhygienic conditions. This is not a new argument–Jared Diamond wrote an essay with the same conclusions in a controversial 1987 essay “The Worst Mistake in the History of the Human Race”–but it is still surprising and counter-intuitive. How could ancient humans have possibly had better or happier lives than most of their post-Agricultural Revolution descendants? The idea is not so surprising if we consider Rousseau’s idea of the Noble Savage, long thought to be erroneous, or examples such as the paradisal Polynesian tribe described by Herman Melville in Typee, or the many noble societies of American Indians like the Iroquois or the Lakota Sioux. Moving closer and closer to the present, Harari presents us with a long series of historical examples about how human societies have changed and gradually unified, leading to the last of the three revolutions that drive the human narrative–the Scientific Revolution. Around 1500, science led to new knowledge which created new technology and fundamentally changed humans’ relationship to their environment and each other. Harari presents a huge number of case studies in politics, industry, exploration, religion, economics, artistic culture, and science that offer his personal interpretations and opinions on all of these areas. The book overall is abundantly full of intriguing information and details about the long rise of Homo sapiens and what it means for our present and future existence. For me, by far the most fascinating chapters are the early ones discussing how Sapiens arose biologically from among many other primate and human species, leading to the Cognitive and Agricultural Revolutions. This is the heart of the book taking us from the beginning of the world until around 12,000 years ago, and therefore the most theoretical, mysterious, and little-known even to people like me who have studied ancient history. As soon as Harari brings the narrative forward into the territory of recorded history, that is, since the first major Mesopotamian civilizations until the present, the book begins to become slightly more and more weighed down by the entropy of the overwhelming number of things discussed and the author’s increasingly over-arching and tendentious claims on all areas of human history and life. That is not to say that the book stops being interesting or that I even disagree with his ideas, but that the best part comes from Harari’s specialized knowledge of biology and the story of early human development. For a large part of the second half of the book, he is clearly less well-versed in the details of modern history and arts, or less concerned with scientific rigor and more with his own opinions. He plays fast and loose with his examples of economics (the 400-year development of capitalism, for example), wars, or historical events and how they relate to his big-picture history of the species. There are few (if any) authors who could successfully pull off such an ambitious and wide-ranging history of our entire species in proper detail from origin to the present, and if Harari falls short on the more recent history of humans that is nothing to scoff at. The philosopher Galen Strawson reviewed the book critically calling it a swashbuckling account, and Bill Gates and Mark Zuckerberg, men with whom I otherwise have little in common, have both included it on their own lists of favorite books (probably more for the final chapters speculating on the future of our species, i.e. artificial intelligence and other things that I have not discussed here, for my own reasons). 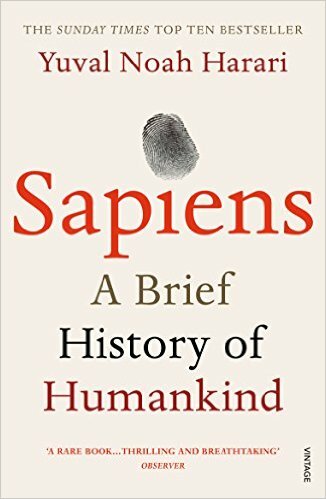 Overall, Sapiens is a highly worthy book for anyone interested in human life, and it presents so much engaging information in a readable way that this should be recommended reading for any student of the sciences and humanities. In the second book, Countdown: Our Last, Best Hope for a Future on Earth?, Alan Weisman spends no time discussing the history of the human race except insofar as it relates to the increasing population growth of our species. I am a big fan of Weisman’s previous book, The World Without Us, a long think-piece with a series of interesting case studies about what would happen to different ecosystems if humans suddenly disappeared. 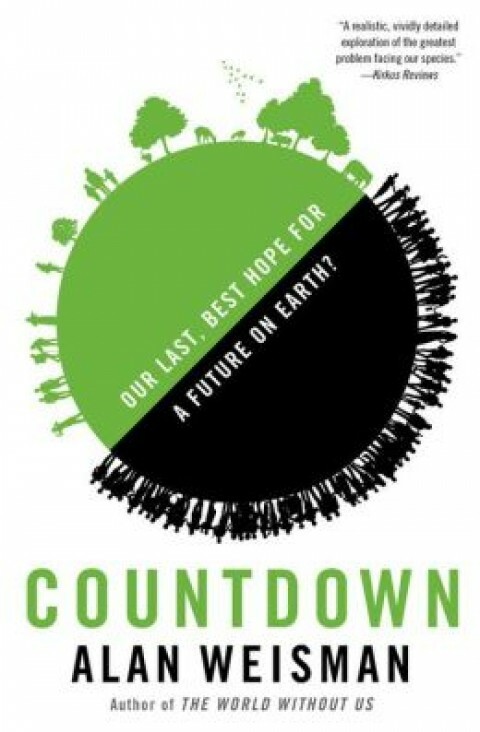 Countdown is the sequel, in which for over 500 pages Weisman follows the same pattern with a series of case studies of overpopulation in various countries and possible solutions that have been tried over the last century, and the consequences if we continue on this exponential trajectory. The format of Countdown is to dive straight into the many local problems arising from an overpopulated world and beat us over the head, chapter after chapter, with the scope of the problem, without ever explicitly connecting the dots between all of the information. 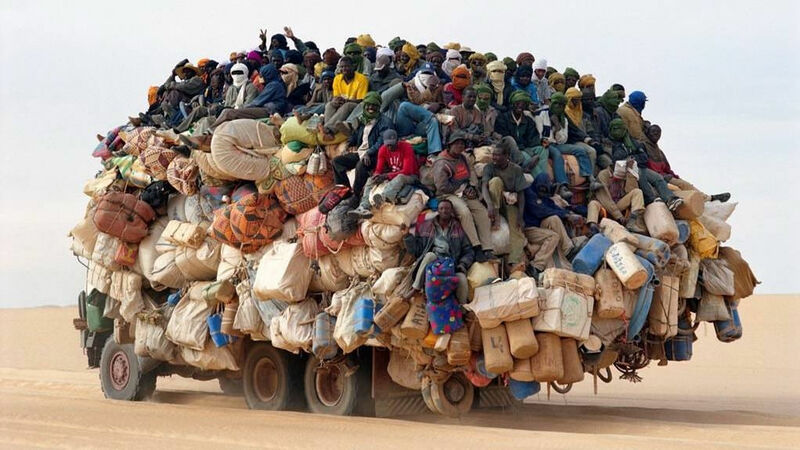 We are led to draw our own conclusions, but there is really only one proper inference to make after reading a few chapters of the book: human population growth is out of control and we need to do something about it before we destroy most of the planet’s other inhabitants and resources. Such a book obviously does not skirt around controversy but confronts it head-on. Thus, the first chapter brings us straight to Temple Mount in Jerusalem and the Israel-Palestine conflict. “Arafat’s biology bomb” was the way locals referenced the demographic split of the divided territory. Palestinians have many more children than Israelis and so put more pressure on an already intractable political situation. Weisman discusses the recent history of walls, intifadas, agriculture, religion, and many other things relevant to the conflict, but the simple thesis comes down to the fact that too many humans are trying to live in a small area without enough resources, which is called carrying capacity, an updated version of the old Malthusian argument. This will become a repetitive theme throughout the book as Weisman visits at least 20 countries and interviews hundreds of scientists, politicians, families, and scholars. The book is basically extended reportage based around the author’s own travels and interviews, and he gives few of his own overt opinions in favor of presenting us an overwhelming number of data that leads to the incontrovertible fact that there are too many humans. Weisman constantly grapples with the question of how many people Earth can reasonably support versus how many people there will be due to the weight of current demographic trends. We are already well over 7 billion, and most estimates say that we will reach 10 billion by 2050, and could peak as high as 15 billion by the end of the century. Paul and Anne Ehrlich, famous for their 1968 book The Population Bomb, have calculated the ideal human population to be 1.5 billion. The Ehrlichs and their younger colleague named Gretchen Daily are the most recurring characters in the book, and it is clear that their decades of work on the population problem has made an great impact on the author. Countdown is similar to Harari’s Sapiens in its enormous wealth of information across many fields (its impressive bibliography attests to its rigorous research), and its generally negative tone about the rise of humans and our ability to deal with the world we have created. Sometimes the truth hurts, and if it’s necessary for us to realize that we are collectively responsible for the extinction of our closest living relatives and countless other species we cohabited the planet with, and that our ever-growing numbers and unsustainable lifestyles are dooming even our own existence, then these two books should be required reading for every politician, business leader, teacher, and student. We are a problem-solving species and the undisputed rulers of the earth, but the countdown has indeed begun for Homo sapiens and there is no resetting the clock.